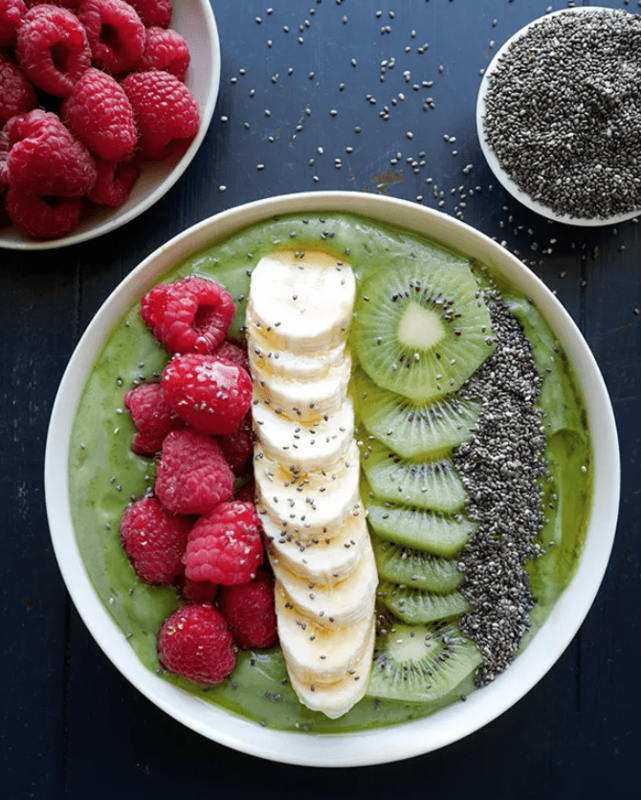 Start your morning the right way, with a healthy smoothie bowl, that is bursting with goodness, and is totally delicious. Packed with vitamins and minerals, it is also extremely filling and will keep those hunger pangs at bay until lunch. To make the smoothie, blend the ingredients in a blender until thick, smooth and creamy. Then pour into a bowl, and top with some more raspberries, chopped banana, chia seeds, and a drizzle of agave syrup.